2. Support panoramic photo quality selection. 3. Add gimbal battery indicator. 1. Move video editor watermark. 2. Support Long exposure, Lightrail. 1. Fixed the issue that A series can't read and save motor parameters. 2. Fixed unable to open video tutorial on Android9. 2. Adding several kinds of camera filters. 3. Object tracking modification, improved the tracking speed, efficiency and accuracy. 4. Panorama photo modification, improved the synthesis rate, and efficiency. 1. Fix can't find Gimbal in some system language. 1. Fix some black screen problems. 1. 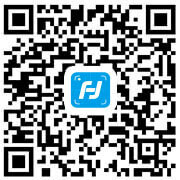 Introduce Feiyu new product WG2X. 2. Change Motor Strength Settings Page. 1. G6 and G6P add the adaptation of some cameras. 1. Add the photo mode to long press the video, short press the photo. 1. Added follow-up settings, motor force adaptation. 2. Fix g6 camera connection problem. 3. Fix can not discovery MG V2. 1. Optimize gimbal connect to camera, object tracking and user experience. 1. 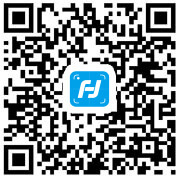 New UI Design, support full Feiyu gimbal product. 2. Support on object tracking. 3. Support on AI video clip. 4. Add video tutorial，video skill mode. 5. Support on phone camera configuration. 6. Optimzation on photo album. 1. Replace the G6 upgrade address. 1. G6 and G6P join automatic adaption force switch. 2. Increase the first page into the album features.